They say that timing is everything in life. With the return of Emmy Award winning TV sitcom Murphy Brown, we will have to see. 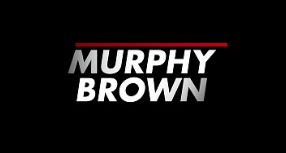 The revival of Murphy Brown, 2018 style, premieres on Thursday, September 27, on CBS-TV, at 9:30 p.m. ET/8:30 p.m. CT. The original iconic TV program ran ten years from 1988-1998 and featured lead character, television journalist Murphy Brown (Candice Bergen). It became a must-watch for young women launching their careers and for aspiring professional women who wanted to break through the glass (or plexiglas) ceiling. That was then. This is now. What has changed since then? When you review the broad spectrum of the women’s movement from the 1960s to today, you will notice that Murphy Brown is conveniently tucked between those two bookends of time. 1968-1988. 1988-1998 (Murphy Brown). 1998-2018. 20/10/20. The early days of the 1960s women’s movement gained momentum with the hopes of passing the Equal Rights Amendment (ERA), which is still incomplete. Today’s women’s movement is still fighting for those original demands, like equal rights and equal pay for women, human rights, and peace, as well as adding other important topics like embracing differences, equality and rights of voters, and exposing sexual harassment, to name a few. How interesting that in 2018, that T-shirt today is still selling. In fact, I found this exact quote on a current tee at a cool website, Teespring, offering timely tees that are designed, shipped, and printed in the USA. (I get nothing for mentioning this, by the way…I’m simply a fan of American entrepreneurism). What is different today than in the 1970s is that women running for political office, whether local, state, or national, is at an all-time high. That’s just one example of the impact of today’s current women’s movement. The timing certainly is right for Murphy Brown creator Diane English. She said in an interview that once she began writing the test script, the words began flowing. There is no shortage of hot topics (including politics) in the daily news feed. I will be watching and learning on Thursday nights to see how Murphy Brown does this time around. We know that she is feisty, opinionated, hard working, demanding, and a trendsetter and positive role model. With just 13 episodes filmed for this first season, let’s hope, as women, that a bright light will shine on issues that are important to all of us. And if we disagree with Murphy’s perspective, well, it’s time to have the conversation one on one to listen to each other’s opinions. And when we’re finished agreeing or even disagreeing, then we’ll go enjoy a beer, or grab a game of golf and call it a day.